There must be many questions in your mind after reading the title of this post. Is it really possible to get Traffic without building links to your site? Can we rank on Google first page without backlinks? And best answer to this is that it depends on many things which I will share with you today and will explain how you can rank on Google first page without backlinks. You must be knowing that Google ranks those sites which have some quality links pointing to it. But there are some awesome ways by with which you can rank on Google first page without building any links and because there are many other things which Google counts to rank the websites in the SERPs. Link building is only one of the ranking factors in Google. I would say that this post is for those who are just content writers or are not good at building links to their sites or mostly don’t get time for the same. How can you rank on Google First page without backlinks? Link Building is one of the most important factors for ranking in Google’s SERPs. But there are some other factors except back linking which can help you to get better traffic and better results at the Google SERPs. I will explain each and every factor that has helped me to get more traffic to my blog. You need not be an expert to do this thing, just simply do it. Finding keywords is a process named Brainstorming. There are many sites where you can look for desired keywords like Google Keyword Planner and keyword Discovery Etc. I use Google keyword planner to get the best keywords for my blog. The best thing you can do while looking for the keywords is to look for those keywords which have very low competition and high search volume. I would prefer you to choose a keyword which is often searched by people but has very less or no articles or post or any other information available on the internet about it. Because when you will do this with proper on-page optimization than the Google’s algorithm will surely rank it. I use these kinds of keywords because these types of keywords require very less or no link building at all. You can also take some extra help in Brainstorming using software like SEO power suite or Buzzsumo. These software’s are a big help. Mainly Buzzsumo will help you to find out the articles, a number of shares and links pointing to a competitor site using the same keyword. Once you have got an overview of the keywords, then you are ready to make it to the Google’s first page. You must have heard that content is the king. Unique and good content no doubt ranks well, but besides that, one need to do On-Page optimization perfectly if you want to rank on Google without backlinks. Then your article or post must have an ideal keyword density. The density of the keywords must be appropriate; it must not be less or more than enough. If you use a keyword many times, more than actually it is needed then Google will surely put your article or post on the list of spammers. But to overcome this problem you can use the LSI (latent semantic indexing). In this technique, we use synonyms of keywords to avoid spamming. I would rather say that Google also rank those sites which use LSI for their articles. I have already written a post for “What is LSI? And How you can use it perfectly?”. A title in any post or article plays is an important factor in better ranking. So, make your own title for your post instead of copying from any other blogs or articles. Because copying an article will never get you to the top of the Google SERPs. And also, make sure to place the keyword in the title. There are some websites which can help you to get an attractive and unique title for your post or article. I always used SEO Pressor for getting a Blog title for the keyword before writing a post. But you can use all three for getting an awesome blog Title for your post. Use of the long tail keywords will surely get you more exposure. When you search on Google a word, the rest of the sentence appear up automatically thus giving us suggestions for our search query. 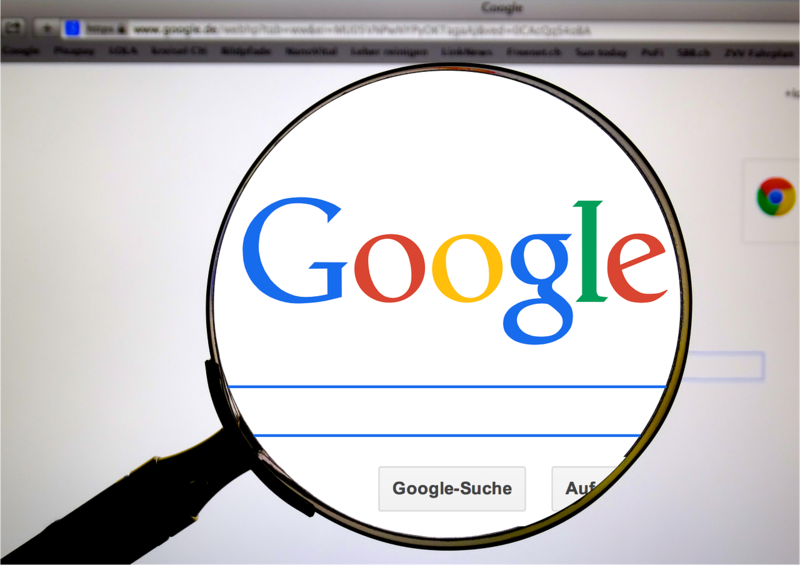 When we search for any query, Google firstly searches for the exact keywords available on the websites, then result appears up. And if it doesn’t find the exact keyword in the data then it looks for the Title of the page. That means if you are using a long tail keyword then there are more chances to rank high without backlinks or with very few backlinks. Also, check out this video where Matt Cutts explains why we should go for long tail keywords and how they have made these changes permanently for the use of long tail keywords. How can you find long tail keywords? Why should you be using Long tail keywords? Each day new information and new updates appear up on the internet. People are searching for something new which no blog post or no webmaster has written for the same, and that can be your chance to rank on Google first page without backlinks. So, even this process involves Brainstorming for getting those keywords which have no competition and high search volume. This is one of the best technique for getting on the first page of google without backlinks. You can just write a topic about something which no blogger has written or shared. Be first to write and be on the top. How to write a post which gets viral without links? Another thing, don’t write a small or un-optimized article for the same because it will not stay on the SERPs for a long time or the chances are article may not appear up in the search results. Instead, write an awesome article with perfect On-Page optimization, so that your post may last longer on the Google SERPs. Write a long detailed article which is informative to the readers and the search engines. Explore the power of Google with Google trends. You can write on the topics which are trending on the internet. You can also search to set trends for the particular keywords. It is one of the secret weapons of many bloggers on the internet. They look for trending post online and make their own unique and similar post with the same keywords and are winning the internet. 7. Use Google Alerts for New Information. I use Google alerts to get latest news and information in my field. You can get the alerts for any niche for which you are writing. You can create an alert from suggestion list or type a keyword for the same. After creating an alert, you will start getting emails from the Google alert with latest trending post and information. Your website is your brand; this is the first step to connect with your customers. If that is not safe and secure, then your customers won’t visit your site. Threats can come in many forms it may steal customers information, like name, credit card detail and other transaction information, or can crash your website. Before you became a victim of any cyber attack install SSL Certificate on your website. SSL will secure all your data transmitted over the internet between your computer and server. If your website has multiple sub-domains then to reduce the cost of single certificate you can go with Wildcard SSL Certificate as it will secure all your unlimited sub-domain. To get more visitors to your site security plays an important role and as per the google update “Google will give a Ranking Boost to Secure HTTPS/SSL Site. Let me just tell you that I am using these tools and techniques for years, and these tools have helped me to achieve more organic traffic to my blog and my websites. Moreover, I not only use these tools for blogging but I also use them for other sites. I would love to know your opinion about ranking a site without backlinks. So, feel free to tell us through your valuable comments. Duck Duck Go search engine – Advantage over Google. It was a great informative post but I think you need to write more on Google Alert thing. Maybe a new post on that since I am new to it and would like to learn about it. Surely Pankaj, Will try as early as possible to write on the google alerts. You have done a terrific job on this post! I love to keep an eye on Google trends. Trending issues on all of the social sites are always great to use, and as you mention, trying to be the first one using such topics will work out well. I use Google Alerts to keep me on my toes! I realize that I need to use more long tail keywords from reading this post. Time to put that one into action. Thank you for all your advice. Thanks for the Praise Donna, Really appreciate your comment. And I hope switching to long tail keywords will surely work for you. Well written post will try your tips in my new micro niche site apart thanks for sharing. You are always welcome Hassan. It was a great informative post. You have done a terrific job on this post! I love to keep an eye on Google trends. It is indeed a great joy to see you on my page with an insightful feedback on my latest story. I am so glad that i could land here too to read your creations! Wonderful and informative stuff packed in for all especially for the bloggers. I really appreciate your comment and visit to my site. Hello Robin, I loved this post as well as your blog. You my friend are really putting out some great value. SEO is not one of my favorite subjects, but you sure did make it easy for me to learn more about them here today. Thanks for the visit to my blog. And I am happy that it was helpful to you. You said when using Google’s keyword planner: “The best thing you can do while looking for the keywords is to look for those keywords which have very low competition and high search volume.” The thing is I think the competition given in keyword planner is not for the keyword itself but for the ad competition, i.e. what advertisers are competing for. High competition means advertisers compete to put their ad on your site. Especially check out Brian Dean’s stuff because he explains this really well. Still this was a pretty good post. Cheers. I am a regular reader of Brian Deans Blog. And he is doing a great job and let me tell you that, he in his many posts suggest Google keyword Planner for the same. If you still have any issue. I will be happy to help. Every time i use to build back links and rank my blogs. After reading this i will make a try by not building backlinks and rank with longtail keywords with your suggestions. When I saw the title of the article, I was taken aback, my taught was, is it really possible to rank on Google first page without backlinks? We all know how important backlinks are in terms of ranking for a keyword. The curiosity in me was heightened and I hurriedly rushed into reading the article because I wanted to know how to rank on Googles first page without backlinks and who doesn’t., I everyone desires that. Very good tips, I like them. I think using Long tail keywords is the main factor for success. Yes Pawan, Using longtail keywords makes it little more easy to rank on Google. things, you do not have to go for backlink hunt. I am weak ], but it is true it helps in ranking. Will have a look at the sites you provided. You are always welcome Erika. Title of post is interesting ” How To Rank On Google First Page Without Backlinks?” i am satisfied with your post but i want to include one thing….few numbers of quality backlinks are good in compression of 1000 bad links.so we can’t ignore strength of backlinks. thanks for sharing it with us…. Google is king of all search engine and every one is in race to get rank on first page in Google , so here you have shared this awesome method to rank on google first page without backlink . Actually sometimes backlink are also important to get rank well and instant result. Thanks for the visit to my blog. And yes sometimes it is not possible to get better results without backlinks. Such great information!! Thank you! I’m going to have to reread a couple of times to grasp, but one of the most valuable posts I’ve read in a long time! You certainly came up with an eye-catching title! We all want to rank on page 1 of Google. I appreciated finding all these tips in one place rather than scattered all over the place – and I liked the idea of including the video from Matt Cutts. If he doesn’t know, no-one does! I’m glad to be here through your guest article on Janice’s blog. You did a good post on SEO, clearing the doubts most of us have on those technical terms. Here is another great post, similar to a post I submitted to Zac Johnson’s blog. I brought out 4 ways to rank on Google page #1 without backlinks and this is just adding more to it. Of course, the longtail keyword direction is confirmed to be a quick way to page #1 without backlinks. I also underlined being the first to write on a keyword, usually product related. Once your content is index and no one else has written about it, you must be on page one. I love what you share here bud. I’ll be around often. I am glad that you liked my post and surely I will also hope to connect with you more. And thanks for the kind viist. I subscribe to your blog but I don’t remember seeing these posts in your sidebar. 1. How often do you publish? 2. Do the posts come in my inbox or just in the Feedly reader? I Publish my posts once a week or sometimes after 10 or 15 days. Depends on what kind of post i am going to publish. And,I think you will recieve the emails if you have subscribed to my blog. I use WordPress and Rss for the same. I love the way you explained every thing in this post. If we will publish up to date content on our blog then Google will love our blog and give rankings to it. I like the way you have explained to get traffic and better rankings without backlinks. I am Glad that you liked it. Thanks for leaving a comment. What an awesome post man! You did an amazing job on this post. SEO is definitely powerful once you know how to do things the right way. Another thing I’d like to add is creating massive engagement in your blog which creates absurd power for your blog post. Get as many people possible to like, comment and share your stuff. Great job here. Thank you for sharing! A very informative post. Will definitely follow your tips. I am glad that that you liked it. You’ve mentioned every important step above very nicely managed article. looking forward to the second part of this article in the future. Thanks for the nice comment, and will surely post second part if possible. It’s a nice post. I’ve not used Google Trends. If you could write about how to use Google Trends with some examples, I believe it will be very useful. Looking forward to read your more posts. I will try to write a about Google Trends. Thanks for visit. you shared great tips and tools here. Hi Robin, Thank you very much. I am very much impressed about your blog post. Informative, stick to the point and blogger focused post. Keep going. This is absolutely a post that I will need to visit over and over again. There is an incredible amount of information here that I will need to look at implementing step by step. Backlinks are backbone of SEO but we can still rank on Google SERPs by following these steps. Just an excellent post on ranking without backlinks. I do receive Google Trends and Use the Google Keyword Tool and I agree that using these kinds of keywords require very less or no link building. Being the first to write on a keyword, these are usually product related. Once your content is indexed, and no one else has written about it, you must be on page one. Recently this happened to me and I was very happy to see that. I do need to work on longtail keywords now though. Thanks for writing these kind words. Google trends have no match to get more traffic. Those tips you are shared is really helpful,but I think google seo is getting much advanced so you also need to concentrate on backlink methods to rank any article in top of google .Anyway thanks for these tips you mentioned,highly appreciated. I Know without backlinks we can’t stand but there were websites which I bought up on the first page without backlinks by following the above techniques. Although thanks for stopping by sharing the valuable comments. You covered most important points here and the article is written in friendly tone. You should be the first to write about any topic, it doesn’t work always. You need to write better optimized content than already published ones…. Yes Pawan going for better optimization always works. Thanks Robin for sharing with us. This is really an amazing post in well defined manner. I really appreciate your support and I must subscribe. I am Glad that this post was useful to you. Here’s the post which can help you to increase traffic https://www.trickyenough.com/search-engine-optimization-techniques/. Great article Robin. First time knowing about this, ranking in Google without backlinks. This could prove helpful and effective. Would try this one out and see how I fair well in this kind of approach. Thanks! First of thanks for the informative post. I totally agree with the points you have mentioned, to be the first to write on a topic we have to stay updated every time in our niche we are writing about, I still remember when Freecharge first came in the market, it was very new and very few people knew about it, I posted it on my blog (although at that time I didn’t knew SEO very much) and that post got ranked on the first page. Thanks for sharing your experience with us. Really appreciate your feedback. Thank you Robin for such informative post. Today I was just searching about how can I rank my home page on Google without creating backlinks and so I got this great content here. Among all strategies you have mentioned I liked your point “Try to use Long-Tail Keywords always”. Actually, this was something I haven’t tried yet. Thanks again 🙂 I’m surely going to follow all these points. long tail keywords are always a great help. I have even written the post on how to find long tail keywords https://www.trickyenough.com/how-to-find-long-tail-keywords/. I think this past of mine will also help you for sure. And thanks for sharing your feedback with me. Nice useful information. I think Social media is also way to rank without backlinks. Surely Social signals give a boost to the Posts and Pages and results in better ranking. You have nicely done everything here. It is really an excellent article. Every blogger especially the newbies will be benefited from your article. I didn’t know that it is possible to rank on google without backlinks. But now I feel that there is still have a chance to rank high without backlinks building. I like your writing style. Carry on and thanks for your inspirational article. I am glad that my post helped you to rank on Google’s first Page without backlinks and also thankful at you shared your success with us. Great article as always. If you are good at onsite SEO, then you don’t need to worry about getting backlinks. nice gift to rank well without backlinks. I do appreciated your effort to teach this interesting topic in blogging. I am glad that you liked my post. Hi Robin, Though you have mentioned some very useful points to rank on google but besides these points I would also like to add here. This is the very informative article. My self and may be many more people think that without buiding backlinks we can not rank but this content really helpful for us. Properly doing On-Page optimization, will definitely go higher. Thanks for sharing this awesome article. Hi Robin,ranking on the first page of Google without backlinks is achievable but might required a lot of work in writing content, at least 2500 words. Great blog, Thanks Robin for sharing this post. This is really very useful information for all business owners to get rank on google first page. That was a well crafted piece, Keyword research is something which is not a piece of cake. As mentioned LSI keywords could be the ingredient, its very important finding a decent keywords with high volume and less competition. And that’s is rare, And felt the best way to do it, is manually. Overall a good read.. Glad being here. I am glad that you liked my post. Thanks for being here and keep coming for new posts. very good article you have explain very well , everybody wants to rank on google first page but its depend upon quality content , on page and off page seo . You nailed it. Keywords play a vital role in SEO if you have used your keywords wisely in your content and done on-page SEO properly than there are many chances to get top ranking in Google without building backlinks. This strategy worked for me very well for client’s projects in which the competition was low or medium. I am glad that you liked the post and Enjoyed the article. the most valuable post I’ve read in a long time! your blogs are really amazing and helpful too. thank you so much, sir for sharing your informative knowledge with us. Excellent post indeed, every blogger wants to rank their blogs on the 1st page of Google.Due to this, they use numerous methods which help them to get that position. But in this article, you have shared another great way which is also fruitful in this regard. The good thing about this method is we don’t need any link building. I am glad that you liked the post. And have a good week ahead. i want to discuss, how about if i using keyword on title “playing football like a pro” and i place the keyword at content “playing football”? it’s okay and doesn’t matter for SEO ? if the Keyword “playing football like a pro” has good traffic and low competition then you should go with it. But if the keyword “playing football” has traffic and long tail keyword does not have any searches then you can use the keyword “playing football” and the other phrase in the Title of the post. This will help you to rank with both the keywords. I have 500 back links and more than 30 different domains but I am not getting traffic on my site can you show me reason ? You might not have done the on-page SEO properly. Hi Robin nice solution hope this will work am going to try.. I was searching that topic for my website and your article helped me to solve my queries so Thanks for sharing this useful information with us. Hope You will share more topic related to website ranking. Awesome article with some real good suggestions – thank you. Honestly speaking, I did not think about using Google Trends that way, but I need to use it more for sure. thanks for sharing information !! i will try to use your provided information for my blog !! Great idea man thanks keep it up all the time. am very happy to see your standard. thats great SEO tips. It will help me to rank on Google quickly. Great stuff! But it takes time to be in the first place. This is really very good & easy way to rank blog in first page of google. This is really too good. Surely, I will Post it on it soon on my Blog. Just subscribe and you will be notified. Surely, I will share a post on WordPress backup as soon as possible. You can subscribe to my for further updates. Thank you for the sharing usefull knowledge about this topic. I really appreciate it and loved post. Many people told me backlinking is very important but the tips that you provided are great as well. Keep writing such good posts. Many many thanks for sharing this information about getting more traffic on our site and rank on first page. It really works great for me. awesome article . i am new blogger . That’s way very important article for me . A very special site for me. You know, these tips are more beneficial for me. You also don’t know that I was searching for this type of article. And finally, I found your article with useful tips. Very good information for me. I am always feeling bored to create backlinks. Last time I found your post. That’s a great nice article. Thanks for sharing this post. The given information is very helpful for me. I was looking for it. I’m fully satisfied with your article. I own a blog close to a month old now, please what kind of SEO practice do you think will work fine for me for quick index and page rank for google or should I continue posting and wait for Google to index automatically. thank you. I recommend going with Google webmaster tools, Submit your sitemap for the index. very very thank you, sir. So good article and anyone person helpful knowledge. Thanks for sharing this amazing helpful article. This article has a nice piece of helpful content. I was struggling long relating this. Nice post keep it up the good work Thanks. CTR is another way through which you can rank high on Google without any Backlinks. If your content gets better click through rate. Google will improve rank of your article without any backlink. But i feel that above all this, CTR is the main factor which plays major part in your ranking. If you article gets good ctr, you can rank it without even a single backlink. Great job sir, thank you for your valuable information. Thanks for sharing your thoughts and ideas on this one.